We’re super excited to announce that we will be playing an American Tripps ping pong show at Rickshaw Stop. 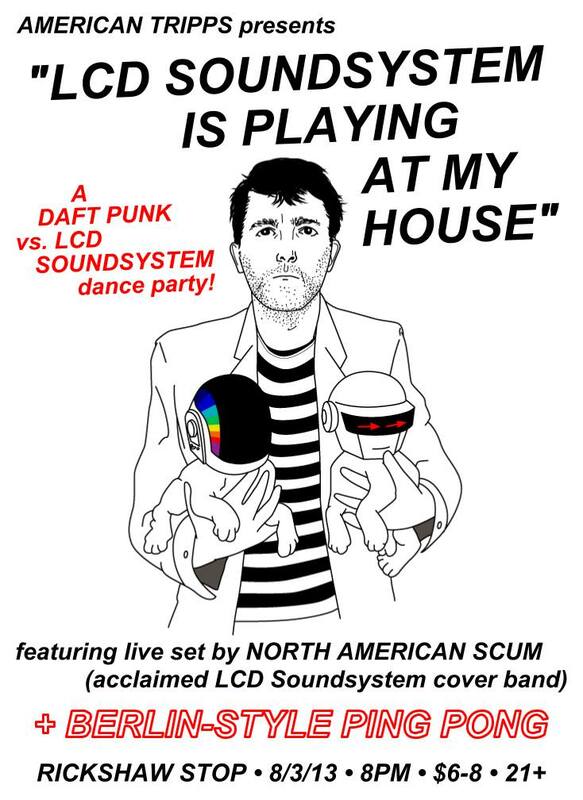 It’s a Daft Punk vs. LCD Soundsystem show. We’ll be playing the part of LCD Soundsystem. This entry was posted in Shows and tagged Daft Punk, Rickshaw Stop by strngwys. Bookmark the permalink.